Our overhead garage storage in Miami was designed to store those items that may only be used for those seasonal holidays or special events. This is an affordable and dependable way to put things safely in their place. Our overhead garage storage in Miami takes advantage of unused overhead space to store less frequently used items up out of the way, while still allowing for easy access when needed. 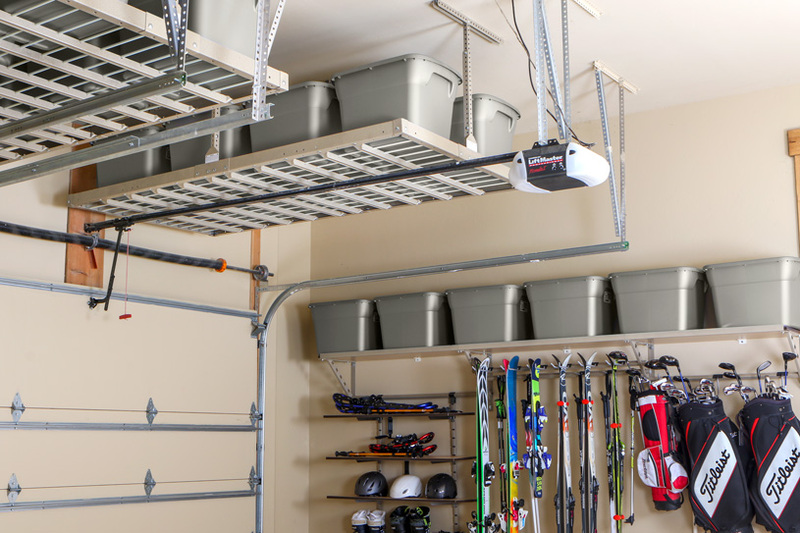 Overhead storage racks keep things off the floor so you can gain more space for other, more frequently used items. 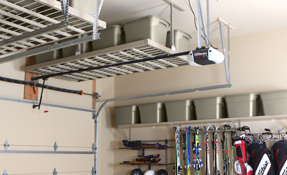 Motorized overhead racks brings ease and convenience to an already popular garage storage solution. With our garage storage lifts, Miami homeowners don't require a ladder for loading and unloading items. Simply tap the screen of your smartphone and watch as your rack gently lowers to your desired height for easy access. The user-friendly app is available for iOS and Android and makes controlling your motorized rack easy. Maximizing the space above you head in the garage has never been easier. Most people don’t realize the potential of their garage or storage space. 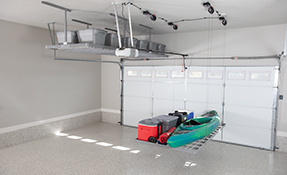 With the use of our garage overhead storage racks, we take advantage of unused space up above and put it to work. 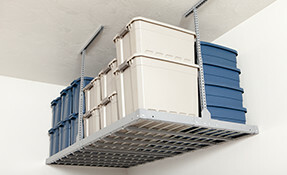 Adjustable: Overhead racks are completely adjustable and capable of adapting to your changing storage needs. Seasonal Storage: Our overhead garage storage in Miami provides a unique way to store things that are not used frequently, such as holiday decorations and winter or summer sport equipment. 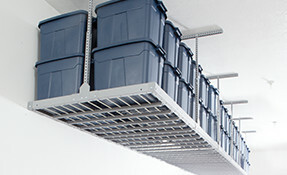 Durable Construction: Overhead racks are made of steel and are capable of supporting up to 1000 lbs of storage items. With 10 gauge steel, it’s capable of handling heavy loads and the perfect way to safely store a large amount of stuff. 2 Inch Lip: Overhead racks are constructed with a 2 inch lip to ensure your storage items will not slide around or off the rack. Affordable: Not only are our overhead racks the most affordable storage solution, they also help eliminate the need for costly outside storage units. 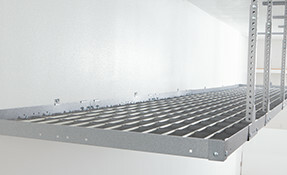 Simple Installation: Overhead racks are quickly installed and easy to use. Give us a call today to find out about the best overhead garage storage Miami has to offer! If you’re ready to make a change to how you store your most prized possessions, look no further than Monkey Bars overhead garage storage in Miami.